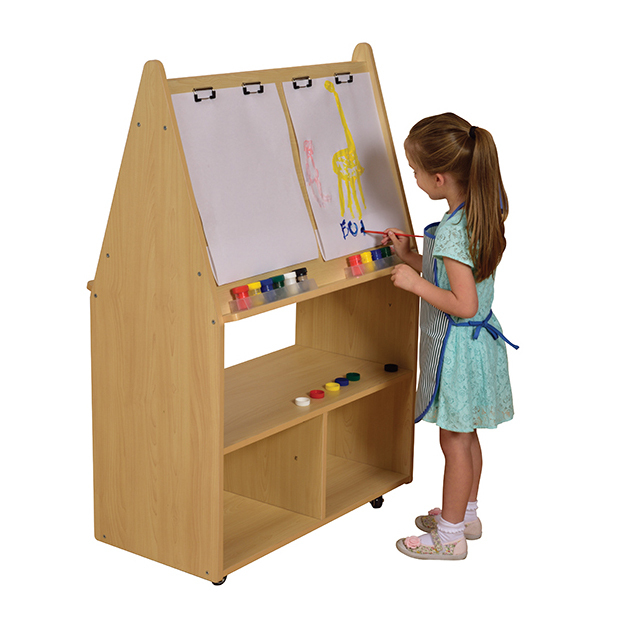 A double sided easel with room for 4 children. 3 deep shelves for storage of art paper and paint pots and accessories. Each side has clips to attach art paper. Great for painting or drawing. Manufactured from Maple melamine faced board. Supplied with lockable castors.